Many people today love the idea of being “rich and famous”. This idea sounds promising for many reasons in my personal opinion. Many people like the different titles like “famous”, “celebrity”, “social-light” and “glitzy” are associated with them. Also, many people just like the attention drawn upon them. So you are most likely wondering as to how I would define “fame”, personally as anything you accomplished, did that makes attention drawn onto you to make you even more then normally. I do believe that any one can be famous but you can be famous for the rest of your life in both the positive light and in the negative light. A perfect example of someone who is famous is Marilyn Monroe. Marilyn Monroe was a notable model, actress, and singer from 1947 till her death in 1962. Marilyn was known as famous because of her successful careers in film, modeling and evening in singing. Many people viewed her as a very beautiful young woman with a successful future. Marilyn became so famous that after her death in 1962 she continued to be immortal by many in works of art and other different medias. 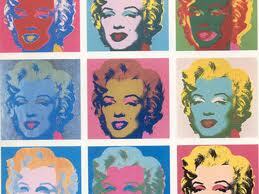 Andy Warhol created a handful of different works of portraits of Marilyn in different “pop” colors. 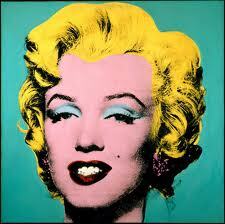 These works created by Warhol helps keep Marilyn and himself immortal and known to everyone. The work gives different generations the opportunity to recognize both the subject of the work (Marilyn) and the artist of the work (Warhol). With Warhol’s work you can still to this day and have many prints of Marilyn available to hang-up in your home and she and Warhol will continue to get recognized. Celebrities can die though; this is so if they are not as famous and notable for what made them become famous or they fell of the radar and because people loss interest in them. So fame can last your whole inter life or it can be there one day and gone the next. If I was to ever become famous I would make sure that it was in the positive light, like charity work or becoming a well known art-director and not in the negative light. Fame can be as big as you make it and can change the way of your life. Just make sure that you make sure that fame portrays you in a positive way of life. Below are two images of Andy Warhol’s portraits of Marilyn. Additional is a very “famous” photograph of Marilyn Monroe.